Day before my birthday, Thilde is bleeding. 10 weeks pregnant but something is wrong. We go to the ER. The hospital is the same as always, fear, trepidation. Will the insurance company really pay? Sometimes it feels like they should just collect $1000 in cash from you at the front door. Wegmans is cheaper, I can usually get out of there for less than $100. This place is different. We sit in the waiting-room full of people. The all seem content with waiting, like they have been there before and they will come there again. Lying to the nurses, trying to act like we don’t react to the sickly smell of the cleaning products. We ask her to move the Janitor cart away from the door. She is hooking up an IV. We stop her an ask how long the saline has been in the plastic bag. She looks as us like we are aliens from another planet and clearly does not know what to say. We politely decline the IV and ask for water. We get a cup but are told to drink only a few sips. Health … Care? In this country I am always amazed and flabbergasted by hospitals. Water is the gift of life. It is needed for every one of the billions of chemical processes that happen in our body every second. Thilde has been bleeding all day and as another 6 large vials are filled up and sent away for testing we are told to drink little. I help her drink a full 3 cups to replace the fluids she has lost, but keep checking the door to make sure that I am not ‘caught’ hydrating my partner. After hours of waiting we see the doctor for 2 minutes who sends us for an ultrasound. There is nothing to be seen through the belly so they do an internal one. Thilde winches in pain as the nurse measures the ovaries and looks through the uterus. She is well-trained to not react to her pain. Part of me feels violated by the whole system. She can’t find the baby, it has gone. Crushing weight those words deliver. What do we tell people? Everyone thinks we are having a baby. All I can think of is the dreaded awkwardness of the uncomfortable silences that will happen when people ask. The last 10 weeks have been a frenzy of activity as we prepare for the birth. Now there is just an empty space where before there was hope and a bright future. I can’t help but feeling like I had it coming. I’ve been far too happy for too long. The universe wants to remind me of my place, remind me of all the suffering in the world. What makes me think that I can escape, that somehow I am special. My mother had a miscarriage, so did my sister. They told me how hard it was and I was left feeling confused. How can you mourn the loss of something that never was. The pregnancy was never real because the baby was never there. 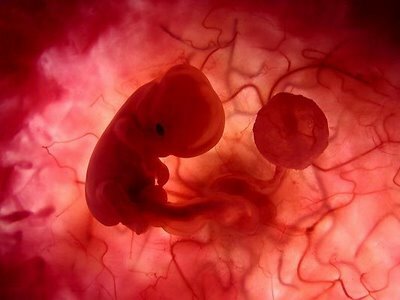 The baby was a part of you, like an appendix that had to get removed, or just fell off on its own. Looking back I wonder how I could be so insensitive to the pain of others. Yet I do it every day. When I keep my window rolled up while stopped next to the people holding the cardboard signs. Trying desperately not to look at them until I finally break down and give them whatever food I can find from my seat or a few dollars from the change tray. Then I beat myself up for the next hour imagining them shooting up or getting drunk alone in the cold in their tent. They didn’t really need that money or maybe they really did. After over 5 hours in the ER I sneak out to buy some lunch at Tamarind since I know there is nothing in the cafeteria that we can eat. I am happy to miss seeing the doctor for the final time. The thought of sitting there and listening to his sympathy is more than I can bear. I imagine the instructional course they have to take on how to deal with family members with death, dismemberment, miscarriages. Does he really care? Did his wife ever have a miscarriage? Does it really matter? The thought of all my friends and family finding out horrifies me. God has a sick sense of humor to deliver me with the worst Birthday gift ever. But it never was alive outside of Thilde so how can I mourn? It was an idea in my head, it was a dream that Thilde and I were working so hard to open up space to create in the world. An idea whose time did not come. So we go home, mostly in silence. I think about the dirt, I think about my shovel. I feel waves of emotion sweep over me, a voice in my head “We bury our dead”. Yet there is nothing to bury, our child never came to be, and may never come to be. When I get home my best friend Gregg has climbed up on the roof and is sitting there like the Batman. I tell him that we lost the child and whatever he says it is perfect. Somehow without going to the doctor’s class on empathy he just knows the right things to say. He just lets me go off by myself. I walk out to the barn and I take the shovel and I start to dig. It doesn’t matter where the dirt is coming from, it doesn’t matter where the dirt is going. Tears well up in my eyes as the words “We bury our dead” repeats over and over. I think about the workers in the concentration camps in Germany. The Germans made them dig holes all day long, then the next day they were forced to fill the same holes back in. The Germans wanted to break the inmates, but there is something therapeutic about the shovel, the way it stings your hands as the flesh is laid bare. After awhile the world melts away and all the matters is the shovel. The irresistible instinctual urges kick in. Hit, stomp, lever, pull, dump, hit, stomp, lever, pull, dump… The earth … this is where we are all going, this is where we end up. Hit, stomp, lever, pull, dump. I buried my brother 14 months ago, now I must bury my unborn child. Hit, stomp, lever, pull, dump. The dirt covers his coffin, the dirt piles up till I can’t see the coffin, but there never was a coffin. Madness, loss, despair. There is nothing that I want to hear from anyone, no sympathy, no kindness. I just want to put my head down and dig till there is no reason to dig anymore. I can’t remember why I am here, I can’t remember what I am supposed to be doing here. Being kind. That’s why I’m here. I saw a movie title the other night called “How to lose your friends and alienate people”. Sounds like a book I could easily write. Just put your head down and dig. I am so sorry for your loss, i miscarried in 2003 so i know what it feels like to just feel sad desperate and empty , i thought if only i had a chance to bury my child it would have been a little easier. I was wrong in 2008 my daughter passed away and one of the hardest things i have ever had to do was force myself to leave the cemetery.